Whether your brand is new, based exclusively online or merely trying to make a name for itself among all the competition, it can be hard to justify massive marketing budgets. Increasing overall brand reach and visibility takes time, dedication and often money, but there are solutions for brands wanting to improve their performance that minimize the need for all three. Some easy and straightforward brand-boosting tips lay waiting for intelligent brands to pick them up and put them to good use. If your brand doesn’t have a lot of money to spend on promoting its products, services or mission, then you’ll want to keep reading to find out how you can get a bit more oomph out of your marketing efforts. Sometimes, knowing where to start involves going where others have been. If you are attempting to boost your visibility in a given niche, then seeing how others have done it in the past may provide critical insight. Whether the goal is pinging links via social media, increasing visibility in search engines or just getting a better response from email marketing, your competition likely has used a variety of strategies that you may have not considered. With this information in hand, you can then begin to further refine your own strategies and include the simple yet effective aspects of it in your future campaigns. 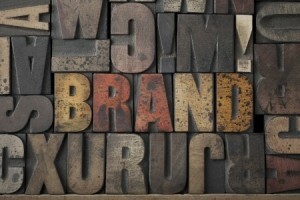 The more people are talking about your brand, the more people who will hear about you. This simple reality is at the core of what many brands want to tap into when encouraging word of mouth. Hearing first-hand from a friend, family member or acquaintance about the benefits of a particular product or service can make a huge difference in whether somebody ultimately visits, subscribes or buys. Through the use of referral/affiliate programs and other incentives, you can encourage more people to share your brand with their followers and ultimately generate more attention, traffic and even sales. Especially true for online businesses, it isn’t enough to merely list a variety of products and services. You ultimately need ample amounts of content to truly excel in generating attention on social media and in search results. Why not consider the creation of a blog as one way to accomplish this? Every time you create a new piece of content, you have access to a unique marketing element that can be promoted via search engines, social media and email. This will not only allow you to do more promotion of the brand, but will simultaneously give people more reasons to visit your website. Before you spend big sums of money on major marketing strategies that boost visibility and engagement, consider how small changes in your current strategy can affect these factors. Whether you opt to start pinging links to search engines in the form of content or encouraging others to share your brand’s message via incentives, there are many unique ways to increase visibility without having to spend massive sums.